Guantánamo Bay hunger strike: Do hunger strikes usually work? Do hunger strikes usually succeed? One hundred detainees at Guantánamo Bay continued their hunger strike on Wednesday, even though President Obama renewed his promise to close the prison. Are hunger strikes usually successful? It depends on how you define success. Hunger strikers sometimes win clear victories. Scholars credit suffragette Marion Wallace-Dunlop with the first political hunger strike of modern times—and it was a smashing success. After her 1909 arrest for stenciling a portion of the British Bill of Rights on an outer wall of the House of Commons, Wallace insisted that she be treated as a political prisoner rather than an ordinary criminal. She refused food for nearly four days. Fearing for her life, the authorities released her from prison altogether, going well beyond her demands. There are, in contrast, plenty of failed hunger strikes, such as Dan Choi and James Pietrangelo’s 2010 fast to end the “don’t ask, don’t tell” policy. The pair abandoned the hunger strike after a week, and the rule remained in place for more than a year after that. While such cases of clear winners and losers are salient, the outcome of many—perhaps most—hunger strikes is more difficult to call. In March 1981, Irish nationalist prisoners in Northern Ireland embarked on a hunger strike for the same reason that Wallace-Dunlop did in 1909: to be treated as political prisoners. That would mean the right to wear civilian clothes, the right to education and recreational opportunities, freedom from work obligations, and a set of other benefits not afforded to other inmates. 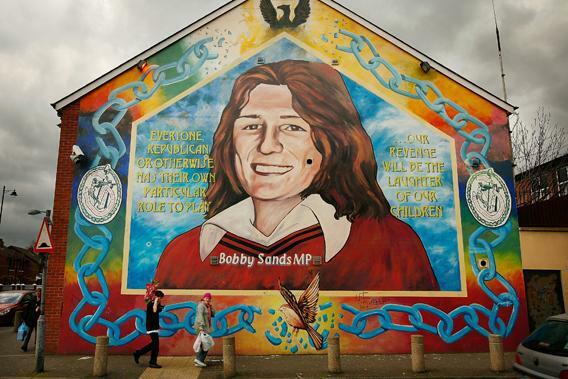 The hunger strikers gained so much renown that Bobby Sands, the most famous of them, was elected to Parliament during the protest. By Oct. 3, when the protest ended, 10 of the strikers were dead, including Sands. The British government eventually granted most of the prisoners’ requests, and public opinion shifted massively in favor of the protesters. It’s hard to calculate a winning strategy for hunger strikers, but a few themes emerge. The first rule of hunger striking is to have a demand that is reasonably achievable within the time frame of a hunger strike. That means around 60 days if the hunger striker is refusing all nutrition. Those who allow themselves sweetened coffee or energy drinks can go significantly longer, building up publicity and pressure on the opposition. That tactic recently paid off for William Lecuyer, a New Jersey inmate who was placed in solitary confinement for refusing to submit a urine sample. Lecuyer insisted that the failure was the guard’s fault—he allegedly made Lecuyer wait so long that he had to empty his bladder before the test—and Lecuyer consumed only liquids for more than a year. The Department of Corrections finally caved in March and promised a new hearing for Lecuyer, who has lost nearly one-half of his body weight. Choi and Pietrangelo’s failed protest against the “don’t ask, don’t tell” policy illustrates the second rule of hunger striking: It works best as a last resort. A hunger strike is an appeal to the public. If people perceive a hunger strike as frivolous, possibly because less-risky alternatives were available, they’re unlikely to blame the government. That’s why inmates are among the few people who can launch a successful hunger strike. These rules don’t apply to the famous and powerful. If you’re Gandhi, the world is so worried about your health that any threat of self-harm is taken seriously from the beginning.